With technology rapidly advancing it looks like hover boards and holographic movies are most likely in our near future. As exciting as they may be, it’s refreshing to see something that somewhat resembles technology from the 80’s, a music player to be specific. 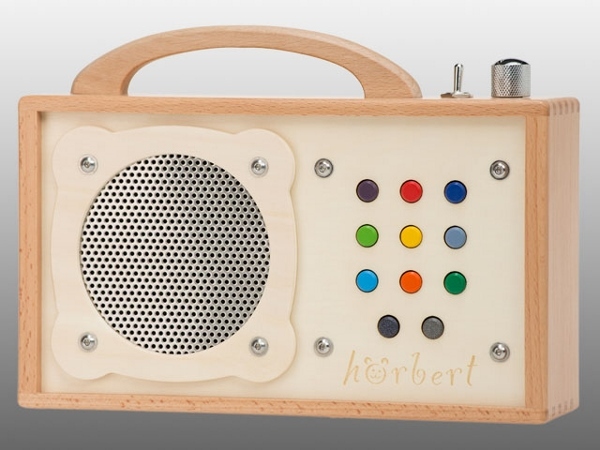 Hoerbert is a children’s portable mp3 player that is impossibly good looking and has certainly caught our eye here at Babyology. Don’t let its vintage looks fool you, it’s sturdy, has a high quality design and has been built specifically for children. 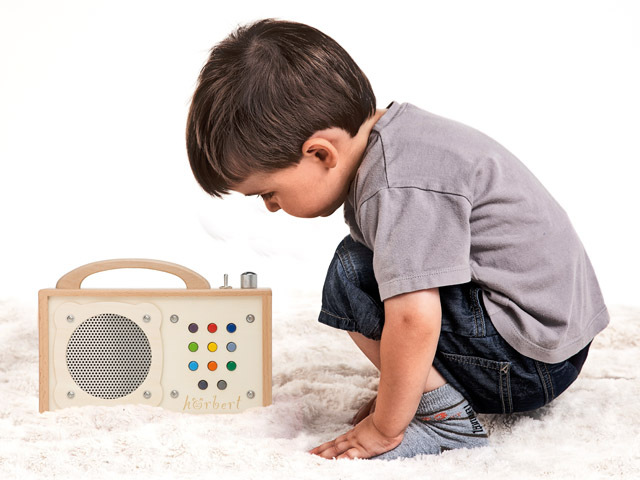 Made in Germany with non toxic materials, the sustainable wooden music player can handle the rigours of a small child with its robust design and resistance to sweat and saliva. Your child does not have to be a mini Einstein to figure out its easy control system. With nine playlists to jump through using the colourful keys, they can safely control it by themselves. The player is sent to you with 140 minutes of German music and audio books. If you prefer to customise the playlists it can easily be reloaded with your little one’s own choice of music to keep them entertained. The best feature is that there are no cables or adapters needed which means no cords to trip over. Yes that means batteries, which are conveniently included but don’t let that turn you off, its high power efficiency means you won’t be running to the store for new ones every five minutes. The SD-card along with the batteries and volume control (yes, you get to decide how loud you want “Let It Go” blaring on repeat) are all located inside the Hoerbert and protected with a screw on wooden back. The Hoerbert mp3 player costs €239 with the option to add on a customised engraving. You can contact Hoerbert directly through their online store for shipping queries.